Alsoft's DiskWarrior is a disk repair utility. Plain and simple. But don't dismiss it as a one-trick pony. When you have a hard drive that otherwise seems beyond repair, this is the utility you want to have. While I have been making this recommendation almost since DiskWarrior debuted back in 1998, a recent incident confirmed that it is just as true today. 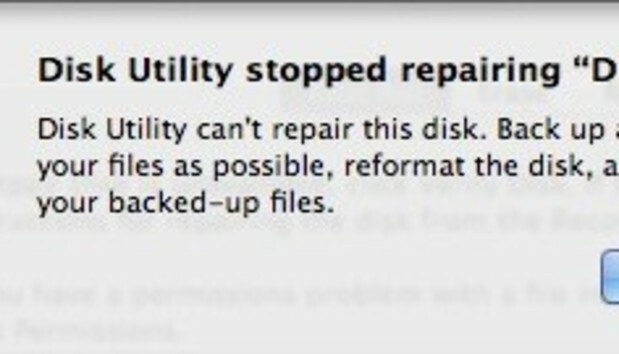 In truth, I have had little use for any disk repair utility over the past several years. I certainly hadn't used DiskWarrior. Based on my anecdotal experience, drives and system software are more reliable now than they were years ago. Whereas I could expect to need a disk repair utility at least several times a year back in the 1990's, problems with my drives almost never happen now. Further, if I do need help, I typically start with the First Aid component of Apple's Disk Utility. It has the convenience of being accessible from the Recovery HD partition built-in to recent Macs, helpful for making repairs to a primary startup disk. And First Aid is usually capable of fixing whatever is ailing my drive. If it can't, it typically means either the drive needs to be reformatted or it has a hardware problem and needs to be replaced. End of story. "So who needs DiskWarrior anymore?" I found myself asking. I found out the answer when the startup drive in my 2009 Mac Pro inexplicably developed a bizarre symptom a few weeks ago. After a system-wide freeze forced me to do a hard restart, I could no longer get my Mac to boot. About 10 seconds after the Apple logo appeared, the Mac shut itself off. And I do mean off. It wasn't merely that the display went black or that the Mac went to sleep. Rather, the Mac powered off just as if I had selected Shut Down. This continued to happen with each restart. It didn't matter if I started up normally or via a Safe Boot. My first thought was that this was a hardware problem, probably with the power supply. But before going down that road, I attempted a software fix. I restarted while holding down the Option key. Success! The Startup Manager screen appeared. I selected to start from Recovery HD. This too succeeded. From here, I ran Disk Utility's First Aid. It confirmed that the drive had problems, but said they "could not be repaired." Apparently, I didn't need a new power supply. I was now thinking that I would instead have to reformat the problem drive, as Disk Utility recommended. I had a backup, so I was not in a panic. Still, I would prefer to avoid this time-consuming step. That's when I remembered DiskWarrior. As I had written previously: "DiskWarrior works by completely rebuilding the drive directory rather than attempting to repair an existing one. This is key to why it's often more successful than other utilities (such as Disk Utility)." I wasn't at all confident that this meant that DiskWarrior would fix my drive now. But it seemed worth a try. My startup disk was an SSD running Mavericks (OS X 10.9). I checked the Alsoft website for compatibility. Right off the bat, I wasn't encouraged that the home page design seemed almost identical to how it appeared years ago. A more troublesome indicator was that the current 4.4 version of DiskWarrior was released in 2011. The base 4.0 version dated all the way back to 2006. With all the changes that have taken place is OS X over this period of time, could such an "elderly" utility still be a viable troubleshooting tool? Had the developers had abandoned the program? Apparently not. The Alsoft webpage clearly stated that DiskWarrior worked with Mavericks. While that was encouraging, I remained skeptical. By now, I'm sure you can see where this is heading. I launched DiskWarrior and it reported that my startup drive had problems. Unlike Disk Utility, it offered to rebuild and replace the damaged directory. I gave it the green light. DiskWarrior whirred away for a bit and then claimed to have succeeded. Sure enough, when I restarted the drive, it worked! The drive has been performing flawlessly ever since. The story gets better. After relating my success with DiskWarrior to Chuck Joiner, he informed me that he had an external Thunderbolt drive that would not show up in the Finder. Disk Utility reported the drive was fine and so it fixed nothing. He now turned to DiskWarrior and the drive was quickly back in business. Subsequently, Shawn King informed me that he had attempted to merge partitions on a drive--following the guidelines of an article here at Macworld. Unfortunately, the merge failed, leaving him with a disk that would not mount. As with Chuck, Disk Utility erroneously claimed Shawn's drive was "OK." Once again, DiskWarrior got everything restored and running. After the dust settled, I contacted Alsoft for some additional information. They pointed out that Apple has made virtually no changes to volume formatting in recent years. Plus, it doesn't matter whether you have a hard drive, a Fusion drive or an SSD--the rules are the same. That's why DiskWarrior continues to function well despite minimal updates. Further, if you have a problem that DiskWarrior cannot fix, definitely give Alsoft a call. They offer various "custom fixes." This could involve accessing an otherwise hidden feature of DiskWarrior, allowing Alsoft access your computer via screen-sharing so they can make manual changes to the drive's directory, or even sending your drive to Alsoft for them to attempt more extensive repairs. All at no charge. In almost all cases, unless it's a hardware failure, they will get the drive working again without data loss. Bottom line? Mac software and hardware have changed a lot over the years. But one constant is that DiskWarrior can still save your bacon. Good to know.